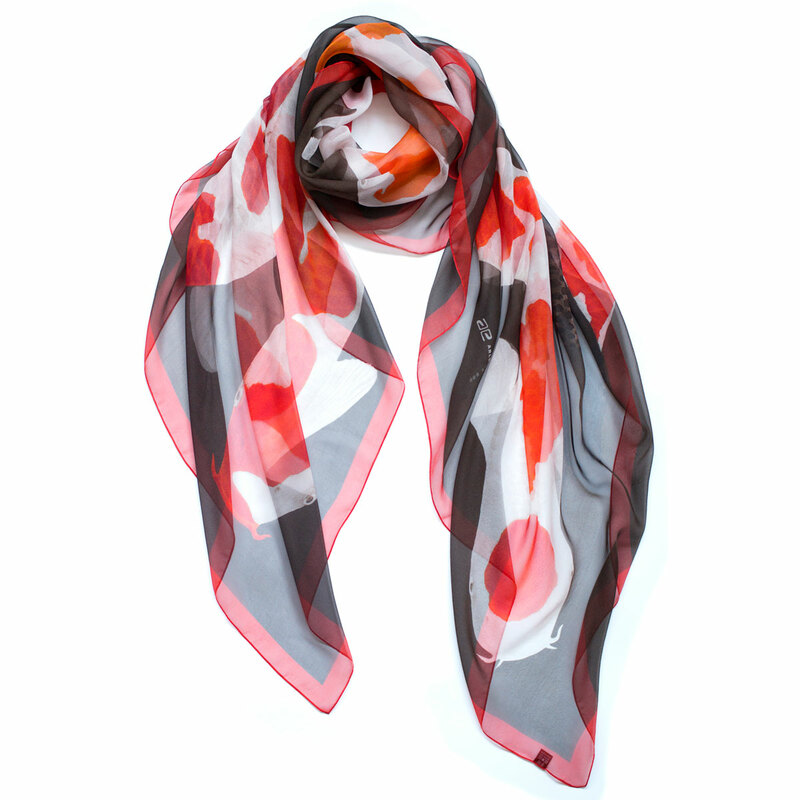 Koi print on sheer lightweight silk, featuring eight red-and-white 'Kohaku' plus one black koi. 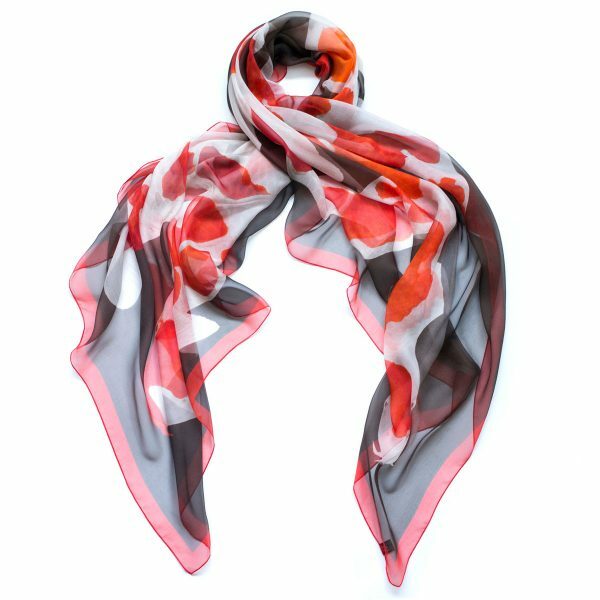 This scarf features nine Koi carp, printed onto sheer Italian silk chiffon. 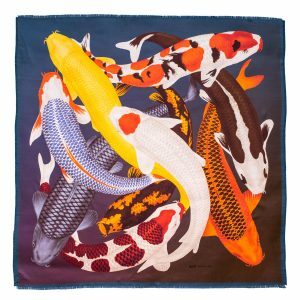 8 of the Koi on the scarf are red-and-white Kohaku, a classic breed and probably the most popular of all koi (some champion Kohaku are traded for millions of yen!). 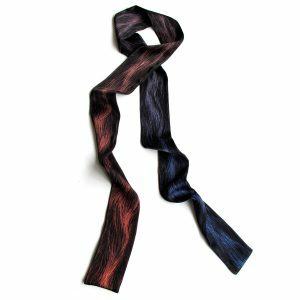 The 9th fish is black, this number and combination of koi is believed to be especially auspicious. 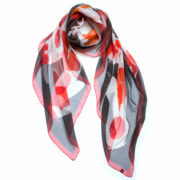 When worn this scarf shows a striking pattern of grey, coral red and off white. The lightweight silk chiffon is ideal for transitional temperatures. 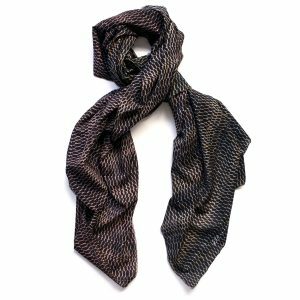 This size can also be worn as a statement piece on a simple neutral dress. 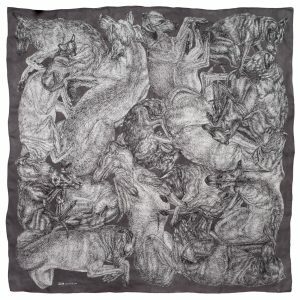 140 x 140cm, can be worn wrapped around or long and floating. 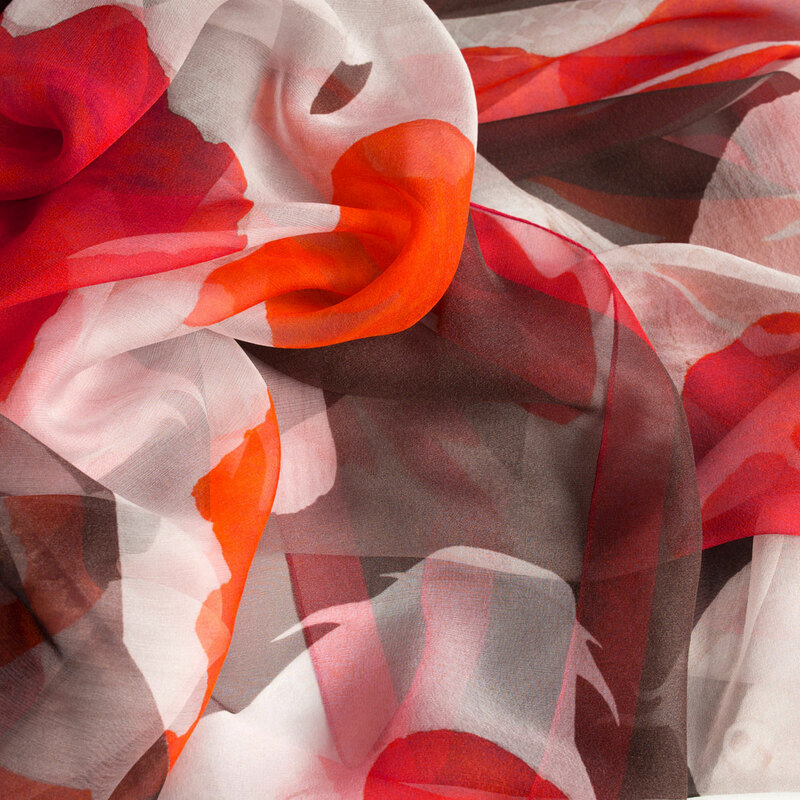 Care: Dry clean.Can also be steamed to refresh and remove creases.